Something was not right. She tilted her head unconsciously, and for a moment the surroundings of luscious green—pond, flower beds, and strategically pruned bushes and trees—disappeared as she stared at the man approaching fast. None of the employees she knew looked quite like that. And he wasn’t carrying a set of clubs either. Someone called her name from behind, one of the women in the party of four. She ignored the call, intrigued by the sudden appearance. The stranger grew in size and shape as he got closer. And boy, did he look out of place. “Hello there. I’m looking for Dr. Julie Freeman,” he shouted. He had striking blue eyes, almost a violet hue. The shapeless sweat shirt had once been navy blue but had now faded to a washed-out purplish color. His wrinkled tan pants looked as if he had been sleeping in them. Old shoes completed the outfit of somebody who obviously didn’t care much for appearances. Not his own, at least. In sharp contrast with his pale face, more often exposed to indoor luminosity than sunlight, it seemed, and in desperate need of a good shave, the unruly hair was dark, thick, and straight, turning gray around his ears. “I wish. Have you heard of the Philadelphia murders?” Vince plunged right in, counting on the subject’s popularity to capture her attention. Vince had been counting the seconds for that to come up. Behind thick lenses, the middle-aged woman had delicate features. He did not expect to be greeted with fireworks. After all, in that profession, he almost never was. Dr. Freeman belonged to the group of professionals to whom people came of their own free will, looking for answers, solutions for a healthier mental life. Whereas his presence—for as long as he could remember, far into those first years fresh from graduation—had always been imposed. Patients had always come to him because a higher authority so dictated. A school principal to a troubled student, the state and the people of Pennsylvania to a manic depressive accused of assault. Or worse. He sympathized with her resistance. From within the rolling greens of Overbrook Golf Club on the Main Line, and in old mansions built with even older money, life and reality seemed all too perfect. The Philadelphia murders had no place in those 120 acres and eighteen-hole course. Who wants to hear about violent death when life looks and smells that good? Julie raised her eyes to the group of women still waiting at a distance, the golf cart parked by them. It was such a gorgeous morning, and she had longed for her Sunday golf. The early October breeze was just the right touch, and after her many trips, scheduled for the upcoming weeks, there would be no such days again for golf. The trees were already turning orange, yellow, and burgundy. One day you wake up, and it’s just too cold—winter is here. Julie would have to retire her brand-new set of clubs until next spring. Julie’s Sunday plans had suddenly changed. Nobody knew how close she had once been to losing that one. The text above is an excerpt from my next novel Wheel of Life, to be released in April. It will be available in paperback and Kindle via Amazon.com. Thank you for reading and commenting on my writing; fiction and blog alike. 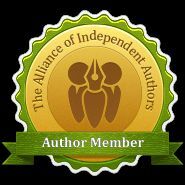 As an independent author, without the mass marketing tools of a large publishing house, the support of each reader is key. Every time a co-worker stops me down the hall to say a few words about a character she liked in The Traveler’s [K]Night or a movie he watched and enjoyed after reading the blog, it makes my day. My week! My month! Thank you for all the nice emails as well. It thrills me that a reader finds the time in his or her busy schedule to write a few lines or send me a Congratulations on your Novel! card. We are now working on the interior design of Wheel of Life and next is my favorite piece in the process – the cover designing! I will keep writing and I hope you keep reading. Most of all, I hope you come to enjoy Wheel of Life – A Novel. I will let everyone know when the book has been released.